Starting from Vol. 8, No. 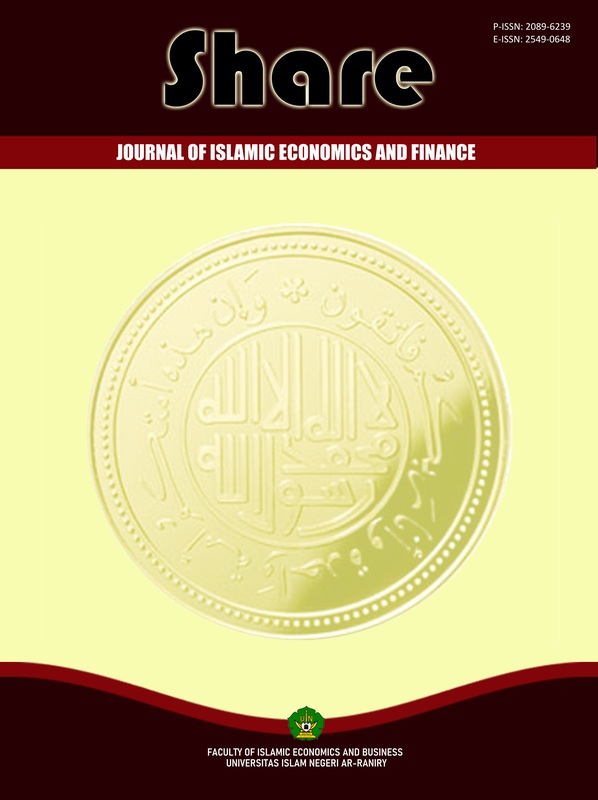 1, 2019 onward, SHARE: Journal of Islamic Economics and Finance will accept only ENGLISH manuscripts. In addition, to maintain the quality of journal and cover the publication cost, each article accepted to be published in this journal will be charged IDR 1,000,000 (for Indonesian authors) or USD 70 (for international authors). Further information regarding the payment, please refer to the page "CHARGES".